terdnthepoolggb when my family went on holiday to atlanta we had a place right next door to our hotel called dave & busters,it seemed pretty cool,had a few decent arcade games in there but it was mostly a lot of games where you win tickets towards prizes,my wife got a massive teddy bear. we really struggled trying to fit it into the suitcase for the flight back home. young warrior. Thanx for your input. There is a D&B about 50-60 minutes from my home. Thats a pretty good drive but I think they have a restaurant also dont they? If so, that would make a good family day and a nice break from CC. https://youtu.be/beoHC4KCq4I - that looks a pretty cool game thenodfather,never played it before. 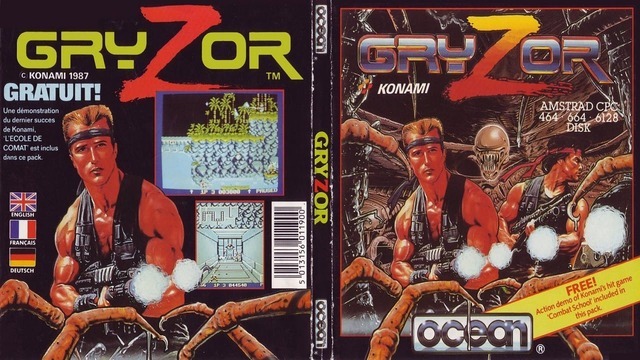 it reminds a bit of a game i used to love playing on my amstrad cpc464 many years back called - gryzor https://youtu.be/BRvwYtEFnNs -it seems to have a similar style to midnight resistance. the food at dave and busters was really nice from what we tried terdnthepoolggb,are the d&b franchise still going strong over there? wish we had something similar here in the u.k.
a dave & busters ticket winner - "yo adrian i did it"
Just discovered a bar called 16-Bit in Columbus. Went to it two weeks ago. It has rows of old '70's - '90's games. The best bar I've ever been to! were they .25 a game? I looked up the site and it looks awesome. I like the names of the drinks. A must see if in the area. Free games!!! (for paying customers). Even though Chuck E Cheese still exists today, it is a mere shadow of its once great self. I absolutely, positively cannot stand that place. 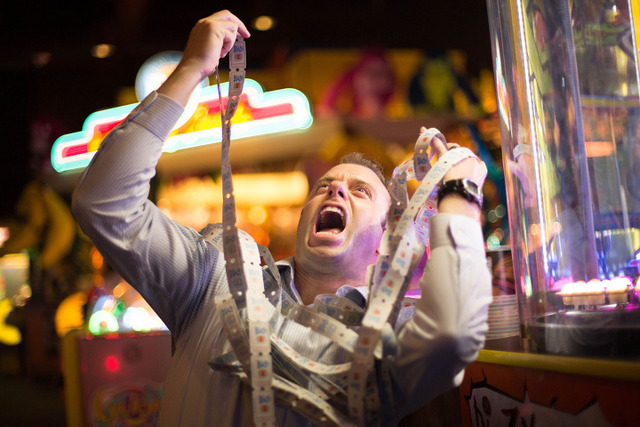 Aside from the skeeball and the quarterback football toss game and a couple other games it is pathetic. Maybe if the prizes were ALOT better it would be different. Any game that takes longer to incert your coin than it does to play the game is a joke and CC should be ashamed of themselves for it. 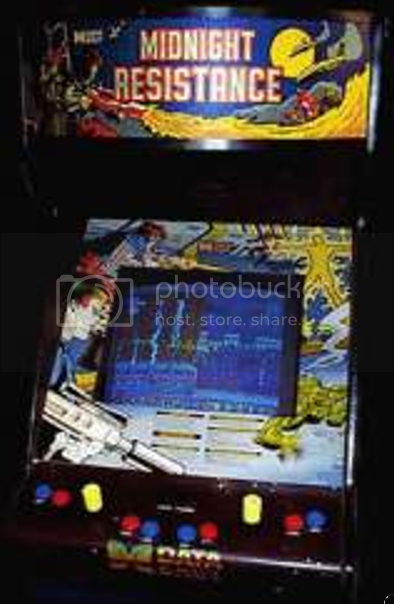 Back in the 80's it was one hell of an arcade minus the smokey and dark atmosphere. The selection of games was second to none although they had a weird policy of charging twenty five cents for the new, in demand games rather than tokens. This ****ed off many kids at the time including myself. What was even better was a local chain called "Top Dog" of only three operations. It served the obligatory hot dogs, burgers and fries and basically it cost $0.39 cents for a regular burger or dog and $0.49 if you wanted cheese or chili. This place was crowded, hot, stuffy, etc.., You experienced the 80's arcade just with food. Of course we also had Aladdin's Castle and a few bowling lanes with well stocked arcades too. Nowadays everything has changed and it started back with the Genesis. Thanks Sega. JCU. there was an Aladdins Castle here in Independemce MO.